100% of the author’s proceeds will be donated to Give Kids the World, a charitable organization where children with life-threatening illnesses and their families are treated to weeklong, cost-free fantasy vacations. www.GKTW.org. The authors, creator and publisher are in no other way affiliated with this organization. Mark Miller’s One is a spiritual anthology examining True-Life experiences of Authors and their Faith. As the series evolves expect to discover what it means to have faith, no matter what that faith is and no matter where they live. Remember that we are all part of this One World. 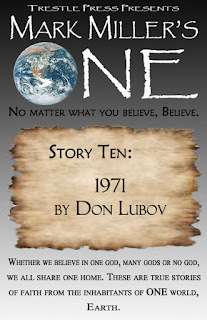 In Story Ten, Don Lubov shares a wild and thought-provoking journey. A young man in 1971, the author left home on a cross-country journey that took him to some unexpected places. He did not know what he was looking for, but he found himself. This harrowing tale of self-discovery brought the author near to death and to a rebirth. This story takes place in 1971, two years before I was born. That put some perspective on it for me. Our world and society is constantly changing. The story that Don tells is from a time that I don’t recognize, except for some classic movies. He ventures into a world of experimentation and passionate beliefs. Because he did not partake in many of the indulgences of the time, the reader travels along with Don as the perfect witness. More importantly though, he goes beyond that world. Don’s journey leads him to the Gila National Forest and the edge of his own life. On the verge of dehydration and starvation, Don has an awakening. Several times, I found myself shaking my head in wonder and amazement. This is a story of spirituality and discovery. Don ends his tale with a discussion of his Six-Step Path. Meditation has been around for centuries, but Don has found a concise and simple way to apply it to anyone’s life. I am impressed with his explanation of our connection to God. When Don said, “Be the best you that you can be…not THE best, just YOUR best”, that stirred something in me. One thing I look for in these stories is the truth within them. Anyone can be enlightened and connect with their higher power. Sharing that knowledge, that gift, has a way of making the reader pause and look at their own life. This death-defying story of wild adventure and self-discovery left me feeling inspired. The tenth author of "One", Don Lubov, is a Zen spiritualist, teacher, lecturer and published author since 1983. He holds a Masters degree in Education and he's taught courses at Adult Ed., Suffolk County Community College, McNeese State University, East Carolina University and Stanford University, Central Florida Community College, Lifelong Learning College. 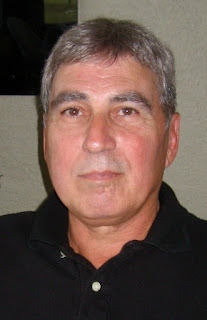 His website is DonLubov.com and you can read his blog at Spiritshare.net. 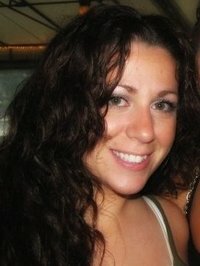 First-time author Marissa Carmel debuted last month with her YA fantasy iFeel (http://goo.gl/MnDYg). As she continues on her blog tour, see what she has to say about the expectations of being a writer and a mother. You plan, God laughs. This is the story of my life. There are ideals and expectations I assume everyone has; whom you will marry, what your career will be like, where you will raise your kids. And yes, I had all those ideologies in my head, except mine were more like, have a career, don't get married and absolutely no kids. Boy was I wrong. Today I am married with two kids, and living in a state I only passed through on occasion. And my career? Well let’s just say, I have more than one, and I never saw that coming. Who needs more than one career? Apparently me. To make a long story short, I started my first career as a logistician, yawn, I won’t bore you with the details. The second career came shortly after. I've always loved to write. Always. My imagination constantly runs away with itself, and I am without doubt following it. My best subject was creative writing. So when I would write, it was primarily for me (or a good grade). As time went on though, I found myself imagining more and more and wanting to create, but my life was so busy, and what would it get me anyway? Until one day my mother- in- law dropped a bomb that would change my life. She was talking to one of my husband’s cousins who was complaining about getting her college degree (she was already married with 4 kids. Yikes. I’d be complaining too.) And my MIL, the wise woman that she is simply said, honey, time is going to go by anyway, so you might as well do it. Well, it felt like the sky fell on me. The advice wasn’t even directed at me, but it resonated. I started writing that night. And never stopped. My husband once asked where my creativity comes from, and in return I asked him if he ever heard voices in his head. His reply, I needed to see a shrink. I told him a keyboard and a curser is the best therapy. I have always loved the supernatural, thanks in part to my mom; Charmed was one of our favorite shows to watch together and still is. So when I started writing, it only felt natural that it took on a paranormal feel. But I didn't want to write about vampires or werewolves or really anything that had been done. I'm like that; I always tend to steer towards the opposite of popular and then proceed to make fun of it. So I started researching, and brainstorming, and concocting my mix of love, humor and emotion. Liv was already an entity in my head, festering. I'd often imagine a dark haired girl with amethyst eyes, suffering and alone. When I finally established who she really was, and what kind of supernatural elements she would possess, (an Empath-someone who can feel the emotions of others- with active abilities) I asked myself, what would it be like for someone like that to carry the world's emotions? Torrential I thought. What would it be like for her to fall in love? Even worse than torrential. The story evolved rather quickly after that, but I didn't rush it. It took me a little over a year to write, over two years to edit. I learned a lot about my writing style during that time, developed my voice and really tried to give it a life-like feel. So here I am almost four years later, a husband, 2 kids, and a home in what feels like a foreign country; a daytime career and a nighttime career, all jumbling together, fighting for a piece of my time. Go hard or go home, my husband and I always joke, if we have a story, it needs a theme and that is it. I wouldn't change it though, not for anything. Life is nothing, if not a venture - (I have no idea who said that). About the author: Marissa Carmel has been writing since a young age and although it has always been for personal enjoyment, she finally decided to breakout and share her imagination with the world. 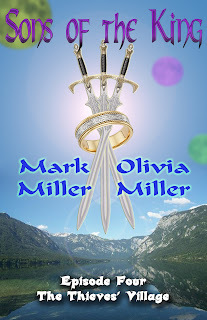 She hopes that her universe is as fun and intriguing to her readers as it is to her. Marissa Carmel is originally from NJ but moved to Maryland several years ago, she enjoys reading, writing, and catching up on her DVR library. She is currently working on the sequel to iFeel, Gravitational Pull, which she hopes to release sometime in 2012. About the book: Lust. Anger. Hate. Desire. Love. Happiness. Joy. iFeel. Liv Christianni is isolated, alone, tortured and withdrawn, saddled with the torrential downpour of the world’s emotions. Accepting of her providence Liv has lost all hope, until one day fate steps in and spins the course of her life like a spiraling top. Hunted by a Spirit Stalker, Liv is forced to gain control of herself and her surroundings, threatened by the touch of her immortal love; she must find a way to survive both physically and emotionally as her reality is shaken up like dice on a Craps table. Can she find the courage to accept her true self? Can she love unconditionally cognizant of the condemning consequences? Can she rise from the ashes to become the person she was always meant to be? Funny, witty, real, and poignant, iFeel rips into your soul, and sets your emotions on fire. If you are a fan of Charmed or Supernatural, The Vampire Diaries or The SecretCircle this series is for you! Read an excerpt: I direct my anger towards the mocking bottles of crazy pills settled in the cabinet. I attack them; clearing all the glass shelves in one angered fit. Tiny orange bottles fly all around my white tiled bathroom, exploding an array of colored pills against the walls and floor. It feels like I am bombing my past; liberating my future and releasing myself from whatever binds me. I want to be free, and if that means destroying my whole apartment in the process to get there, I am willing to do that. I can feel the rage course through my veins; my head throbs and my throat burns as I thrash at my tiny bathroom. All I can hear are the voices of people who mean the most to me, those who encourage me, those who support me. To my surprise, the loudest voice is the one who is farthest away. Justice’s words echo against the tiled surface, telling me to let go, to accept my fate, to be magical and not mental. It makes me miss him all the more, but what he said finally makes sense. My breaths pulse quickly in my lungs, as if the air is thinning. I have worked myself up into a crazed frenzy to expel my true self. My enraged fit has resulted in a bathroom bloodbath, me versus myself. I guess it's been a while, but Olivia and I have finally put together the fourth episode of Sons of the King. In case you are not familiar with it, this is the Christian sci-fantasy that I am co-writing with my nine-year-old daughter. In this part of the story, the middle son, Dig, has escaped the suspected bad guy. He has always had the idea of joining the thieves that live in the mountains to the far south. At the end of episode three, Dig meets four other kids that come from the Thieves Village. Episode four tells of Dig's five year apprenticeship with the Thieves' League. 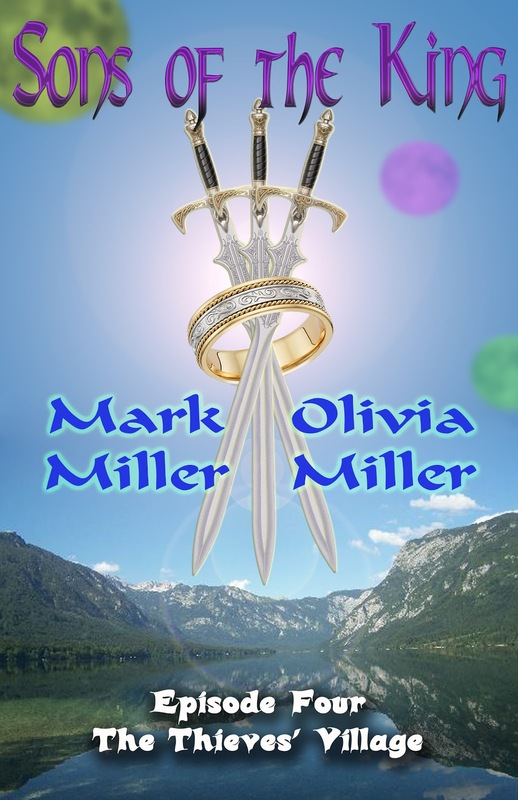 His end goal is to return home with the ability to save his brother and restore the kingdom of Mysstira. Dig will learn some surprising things about the thieves and himself. The thing I love most about this series is the time I spend with my daughter. So many wonderful, creative and exciting ideas pop out of her head. The Thieves' Village is coming soon. If you would like to get caught up on the series, the first three episodes are ONLY 99 Cents each on Amazon or other eBook formats. Poet and spiritual student Ron Starbuck gives some insight about his contribution to the One series. MM: Ron, thank you for joining the One series. With Story Nine: Wheels Turning Inward, you introduce poetry into the series. Up to now, all of the entries have been prose and personal narrative. The goal of One is to explore our faith and you do it in a different way. What was your inspiration? RS: I have always been inspired by our relationship with the divine mystery. However, you may imagine this mystery to be at work within your own life. Poetry is a language that helps us to express our place in the world, in creation itself. Through the poet’s voice and vision, we catch sight of the clear longing of God for all humankind, and the true value of relationships through which we come to know and become known by this mystery. MM: That is excellent. Poetry definitely gives us a unique way to express ourselves. I am so not a poet, but sometimes the directness of prose does not convey that necessary emotion in the same way as a carefully crafted poem. Obviously, it has taken you years to achieve an adeptness at this, how long have you been doing it? RS: I wrote my first poems back in high school and college, and then put writing aside for most of my adult life. A few years ago something awoke within me that wanted to write again and I became very intentional about taking the time to read and write more. We learn from the masters, from those who have gone before us in expressing our place within creation. MM: In a way, you have been writing most of your life. You say you were intentional in reading and learning from the masters. Who are some of the masters that influence you? RS: There is a long list to choose from I’m afraid, more than we can completely cover in this interview. 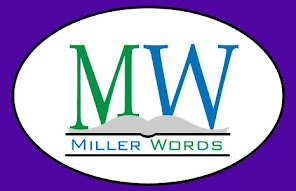 To name a few poets I would say; Carl Sandburg, Mary Oliver, Vassar Miller, E.E. Cummings, T.S. Eliot, Saint Julian of Norwich, Rumi, EmilyDickson, and Julia Esquivel. I could go on and on. MM: I recognize a few of those names. That always makes me feel better. Sometimes we get to this point in the interview and I feel so sheltered because I don’t know who we’re talking about. However, that inspires me to find them and expand my literary universe. Hand in hand with the last question, who are some of your spiritual influences? RS: The theologians, spiritual masters, and writers who have influenced my thought and poetry are Meister Eckhart, Angelus Silesius, Paul Tillich, Paul F. Knitter, John B. Cobb, Thomas Merton, Nagarjuna (Buddhism),SorenKierkegard, Daisetsu Teitaro Suzuki (Buddhism), and Cynthia Bourgeault to name only a few. MM: You got me on that one. I only recognize one of those guys. But that’s okay. That is one of the great things about this series. Each author has a different background and adds their knowledge to the whole. We like to celebrate those differences. What is different about you or the way you write? RS: I get up early nearly every morning to read, meditate, and write. Sometimes I’ll meditate and pray for thirty minutes or so, at other times I may simply read the work of other poets and writers. This helps me to focus on my own voice and what it is that I wish to share with others. Poetry is a language that touches us at the deepest levels of our spirituality. Poetry moves us at levels seen and unseen, at both conscious and unconscious levels of our being. By listening deeply to the self, by listening to the eternal word that dwells within us all, I believe that we are able to touch and be touched by the divine. This mystery, and it is a mystery, surrounds us utterly, it sustains us in life and for life. Poetry is an affirmation of life, the gift of life, and all the marvelous things that are ours to experience in life. Life itself is grounded in our relationships; we live in relationship with one another and with all of creation. MM: That is heavy. I like the idea of channeling inspiration. I also like your ideas on the connections between poetry and spirituality. Can you share more about your faith? RS: I grew up in Midwest America, raised in a mainstream Protestant Christian tradition where we attended church every Sunday. This experience taught me the importance of relationship and gave me a spiritual grounding that has flowed all through my life and the life I share with others. Eventually, I began to understand that the Holy Spirit is actively at work within the world across many faiths. It was then I began to study other spiritual traditions and was drawn towards a more contemplative life and practice. Buddhism has helped me to understand a radical openness to creation itself, to an inherent and abiding spirit or force within our own being. One that is always offering us life and one that reveals the divine mystery to us, and calls us to love, calls us into relationship. Still, I held on to what I knew best in the faith I had practiced since a child. But in this process, this journey, I learned that the divine mystery at some level touches all faiths, and I found comfort in an interfaith dialogue that includes both Buddhism and Christianity. Today I am actively involved in the Episcopal church, in a Christian sacramental tradition, but also in an interfaith dialog with Buddhism and other contemplative traditions, through the meditative practice of stillness and silence, a resting in God, in the eternal now that is always present to us, where one empties themselves of all images and becomes radically open to that which is moving across creation, that sustains creation, seeing God as a verb that touches us eternally. As a word, where God is moving towards us, reaching out as a word to communicate God’s self. Ultimately, this involves a deep listening to what the divine is speaking to each one of us, and it is a process of listening, of dialogue, and of relationship within that dialogue. It is also a process of growth, of spiritual evolution, of Theosis and Sanctification found in the Christian tradition. It is a process of understanding that we are all interconnected to put it into Buddhist terms, it is a concept that places a focus on our interconnectedness with life, all life, reality itself, out of which our lives arise. In Buddhism, this concept is called Dependent Origination or Dependent Arising, and Emptiness. Perhaps it would help, as Jesus or a Tibetan or Zen Master might, to have you visualize the emptiness of an empty cup, the space that can be filled at any time, by anyone, by you, by God. This space, this emptiness, can be seen as the pure and infinite potential of all eternity, out of which all reality arises in a universe of infinite possibilities, or even of a given intimate moment within eternity, now in this present moment, in these words, even in the spaces between each word. You may also visualize it as an empty cup, a cup that is ready to receive the new wine of life or hot jasmine tea. My spiritual practice is both theistic and non-theistic, where I release and let go of all our preconceptions and images of whom God is, and simply let God be God, without any expectations. In this sense, it is an openness to the divine indwelling, the presence of God’s Spirit. One where we learn to let the Holy Spirit pray with and through us, with sighs too deep for words or images. This is an opportunity of deeply and personally coming to know God, to realize that the Spirit is part of us and given to us freely. MM: All I can say is, “Wow!” I know you convey some of this in your writing, but to see it here is impressive. It is the personification of East meets West. I suspect that the concepts you touch on would take years of study, but also have a universal appeal. To see such an interesting spiritual side, what is something else personal you would want to share, that might not be in your author bio? RS: From time to time I paint, abstract paintings mostly, working in both oil and an acrylics. Some of the pieces are small, like 14” x 18”, others much larger 3’ by 3’. MM: That’s it. You paint. I like that. You have this immense and cosmic view of God and spirituality and... you paint. Plenty of room for self-expression there. Besides painting, what other projects are you involved in right now? MM: Very nice. You have named your press after one of your inspirations. Now, for some fun before we part. If you could ask your supreme being one question, what would you ask? RS: What new mysteries and relationships are you to reveal to me today? MM: And lastly, what I think has become my favorite question, if you were a flavor of ice cream, what would it be? RS: Mango, I’m addicted to Blue Bell Mango flavored ice cream, and I love the color. MM: I wonder what that says about your personality? A Midwest sensibility with a Tropical attitude maybe? Well, thank you Ron for such an informative discussion. And readers, please remember that 100% of the author’s proceeds will be going to Give Kids the World (www.GKTW.org).